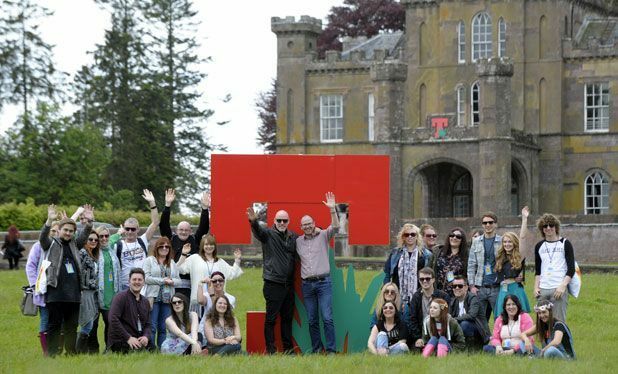 Strathallan Castle is the new setting for that behemoth of Scottish festivals, T in the Park. Uprooted from its regular home at Balado after concerns about the Forties pipeline, T has experienced months of confusion, controversy and near-homelessness thanks to concerns over wildlife safety. A unanimous vote by Perth and Kinross council at the beginning of May allayed these fears and the festival will run from Fri 10–Sun 12 Jul. Won’t somebody think of the osprey? It is. In the heart of Perthshire, the festival is set within 1000 acres of woodland with the 19th century caste as a backdrop to the music. That’s 400 acres larger than Balado, you know? But is it easier to get to? Expect the same heady highs of T travel. One hour from Glasgow and Edinburgh, road links are handy and the usual T shuttle buses will be operating from various locations across the UK. So what’s the vibe this year? An attempt to cater to the more discerning T goer. Ellis has been promoting the Residence camping site a lot more this year, with its hot showers, hair dryers and fresh towels. He also claims the new site will be more appreciated by an older demographic. This nod to a more mature audience can also be seen in the lineup. Is that shade you’re throwing? Not at all. The lineup is pretty steady and is likely to appeal to a wide audience. The headliners across the three nights are Kasabian, the Libertines and Noel Gallagher’s High Flying Birds. Also playing are St Vincent, Sam Smith, Jessie Ware, the Proclaimers, Idlewild, the War on Drugs, Hot Chip and the Twilight Sad – to name just a small selection.